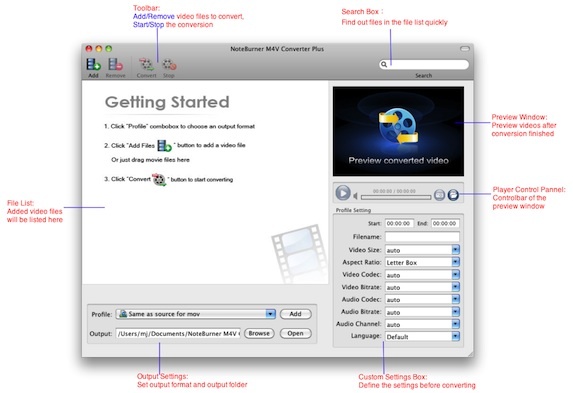 NoteBurner provides iTunes video and audio converter to remove DRM on Mac & Windows. Q1： How to convert iTunes DRM protected movies to MP4 format so that I can play them on my Nokia Lumia 920? Q2：I'm looking for a way to strip off the DRM from the iTunes songs I got years ago, like some DRM removal tools? Q3：I bought some audio books from iTunes but it seems that they can't play on my Android tablet? Any way to sync the iTunes audio books to it? Have you ever met those problems when downloading movies/audios from iTunes Store? You may notice that movies, audiobook on iTunes are protected with Apple's DRM FairPlay so that they are not allowed to play on non-Apple devices. But there is always a way out. Actually you can remove the DRM protection from iTunes movies, songs, audio books with some professional DRM removing software. Here we are going to show you how to convert DRM iTunes video and audio files with certain DRM converter tools. NoteBurner iTunes M4V Converter is able to crack the DRM protection from purchased and rented video files from iTunes and convert the movies to non-DRM MP4, MOV, AVI, WMV, FLV, etc for play on PSP, Xbox 360, Nokia, Samsung, iPhone, iPad, etc. 1. Launch NoteBurner and add iTunes DRM movies by clicking Add button. 2. Choose output video format and output folder. 3. Start to convert iTunes videos by hitting Convert button. Tips: If you are Windows user, you should switch to DRM iTunes M4V Converter for Windows. 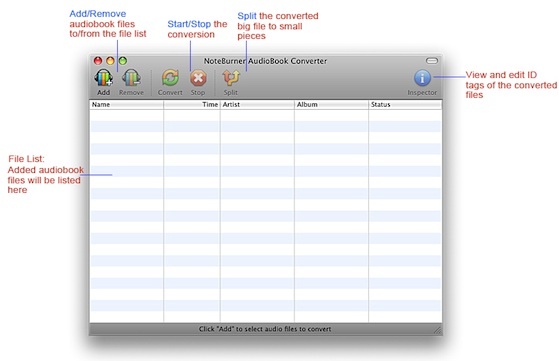 NoteBurner DRM Audiobook Converter is a powerful audio converter to convert the DRM protected audiobooks bought from both iTunes and Audible.com. It can remove the DRM and convert the audiobook to MP3, AAC, WAV formats. 1. Launch NoteBurner and click Add button to load audio books you need to convert. 2. Open Preferences and click "Advance>Format" to choose the output format. 3. Convert the DRM audiobooks by clicking Convert button. Songs purchased from iTunes before 2009 are all protected by DRM. But NoteBurner DRM M4P Converter is specially designed for you to remove the DRM from the iTunes music files and convert them into MP3, AAC, WAV plain audio formats with virtual CD burner technology. 1. Launch NoteBurner and iTunes. 2. Create a playlist in iTunes containing the audio files you need to convert. 3. Right-click the playlist and choose "Burn to Disc". 4. Choose NoteBurner Virtual CD-RW as CD burner. 5. Click Burn button to begin the DRM M4P conversion. Tips: If you are using Windows, you may need DRM M4P Audio Converter for Windows.